You want your commercial building to look attractive and well kept. It sends the message to the public that your business is flourishing and this, in turn, attracts more business. However, sometimes the previous coat of paint peels, cracks, or fades. Keeping your building in top shape means regular maintenance by a commercial painting company to ensure the greatest curb appeal for your business. Let’s take a look at some of the more common problems that DANCO Commercial Painters successfully solves on a daily basis as part of our building painting services. Faded paint doesn’t look fresh or vibrant. It gives a commercial building a tired look that significantly diminishes curb appeal. Repainting over dull, faded paint can visually bring a building back to life. Unfortunately, some paints fade over time. However, choosing a higher grade, more fade-resistant paint slows this process for a more extended period, while keeping your building looking its best. Consult a commercial painting company for the best advice on choosing the right kind of paint to solve this common problem. Nothing looks worse than paint that’s separated from the substrate and is peeling away, making a building look ugly and unkempt. The commercial painting contractors at DANCO can solve this type of problem for you by removing loose and peeling paint and carefully preparing the substrate for a new coat. Preparation is the key to superior adhesion that makes the paint last much longer and retain its attractiveness. Fungus of this type usually grows on the shady side of a building, or where one building shades another. Mold will grow on almost any surface and permanently stains the building material beneath a darker color. The commercial painting contractors at DANCO have over 33 years of dealing with this unsightly problem. After completely removing the mold, the area is treated and re-painted with mold-resistant paint to inhibit the growth of the fungus. If your commercial building in the Twin Cities area needs a fresh, new appearance, call DANCO Commercial Painters at 952-368-9951. With over 33 years experience, we’ve got just the solution to solve your commercial painting problem and make your warehouse or manufacturing facility look like new again. We also offer building painting services for larger projects, such as industrial parks. At DANCO Commercial Painters, we offer reliable service and on-time completion of your next commercial building painting project. 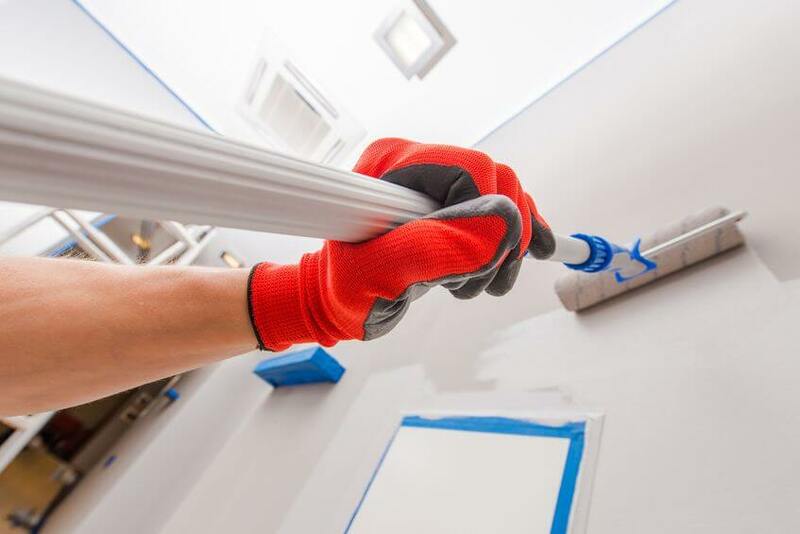 We are proud of the fact that DANCO takes commercial painting services to the next level of excellence by offering long-term protection along with our painting services. Contact us to speak with one of our highly trained commercial painters and schedule an appointment to receive a free inspection, consultation, and estimate of your project. « Does Your Building's Paint Design Match Your Business Brand?